"RESCUE 21 UP AND WORKING"
Rescue 21 takes the search out of search and rescue but boaters need to help make it work. It could save your life. It’s simple - if you read your manual when you installed your original VHF marine radio. You need not make any changes to use Rescue 21 when making emergency calls to the Coast Guard; follow protocols. Tune to channel 16 (156.800) call MAYDAY three times if life or property are in imminent danger. If there is no immediate danger, call Pan Pan three times which indicates urgency. Provide your vessel name, nature of distress and your position, the number of persons on board, if they have PFD’s on and a description of your vessel. Listen for the Coast Guards response. The big change is in how the Coast Guard receives and responds to your call. Rescue 21 uses multiple antennae; a clear call for assistance is received over numerous towers which automatically triangulate sending your exact location to the nearest Coast Guard rescue resource. Directional capabilities minimize search time and hoax calls are identified thus insuring resources are available. Coastal coverage extends up to a minimum of twenty miles offshore. The systems greatest advantage is search and rescue. More than 47,000 search and rescue cases have been completed since the systems inception. Responses are expedited and the type of resource needed is quickly provided. 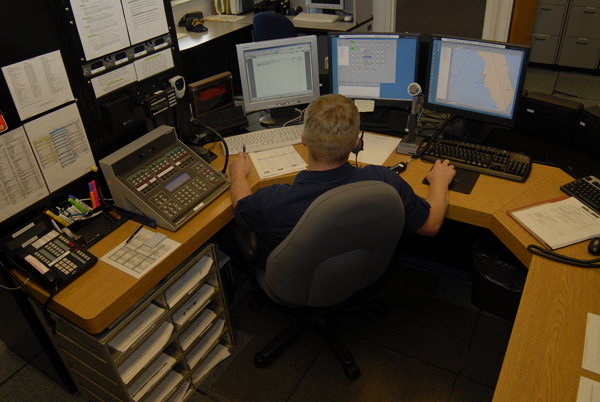 Mariners can increase effectiveness of Rescue 21 by the use of DSC (digital selective calling). To be prepared, you must have a VHF radio equipped for DSC and GPS (Global Positioning System) on board. Once your radio is properly installed and connected to the GPS, to enable the system you must submit a MMSI (Maritime Mobile Service Identity). A form is enclosed with each DSC radio. Be sure to read the manual provided. After your MMSI is on file, if you have a dire emergency, all you need to do is flip an emergency switch on the radio and your distress is transmitted to the nearest Coast Guard resource. Your exact position and complete description of your vessel is provided. The call will continuously repeat to the responder, you will not need to make additional calls. You can leave the helm and make certain all persons on board have PFD’s on and attempt to control your emergency, knowing help is on the way. Vessels nearby that have DSC radios will also receive your transmission and be able to come to your assistance. If you have to abandon ship, your position is recorded and the nearest facility can respond directly to your last known position. I highly recommend you replace or add a radio with DSC capability, its cost is only slightly more than ones without it. To gain the greatest benefit from Rescue 21 I also recommend you install the best antenna available with the furthest signal reach. 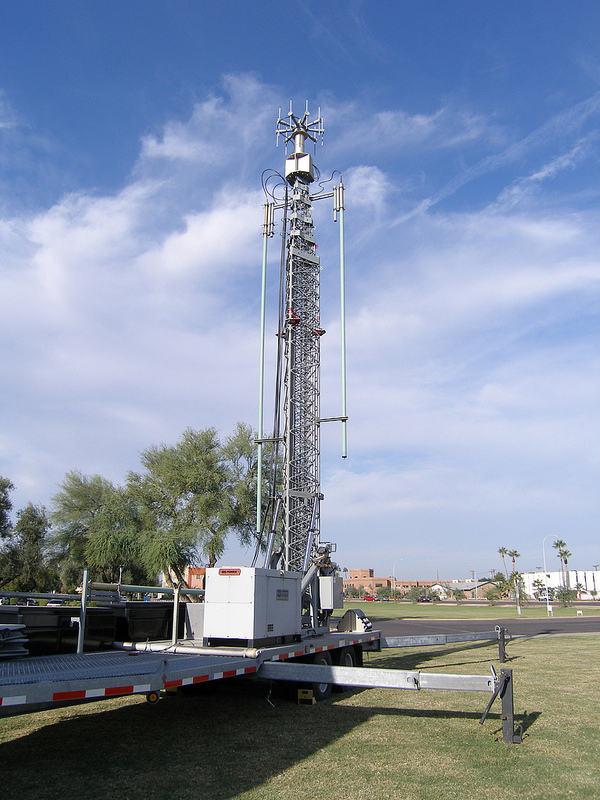 Place it as high as practical thus allowing your signal to carry to as many receiver antennas as possible. This action on your part will help in triangulating the signal to determine your position. Rescue 21 replaces the Coast Guards Search and Rescue system in place since the 1970’s. The system has been gradually developed and implemented over the past nine years. It became fully operational in late 2012 and serves the entire continental United States along 41,871 miles of coastlines. It is in Hawaii, Territories of Puerto Rico, Guam, U.S. Virgin Islands and Northern Mariana Islands. Completion of the Western Rivers, including the Mississippi and Ohio River Valley, will occur in 2014 followed by Alaska in 2017. Take a look at the development on http://www.uscg.mil/acquisition/rescue21 . The marvels of and ability to use the new age electronics is beyond anything even imagined just a few years ago. Remember, if you ever need rescue having the proper equipment up and operational can save your life.